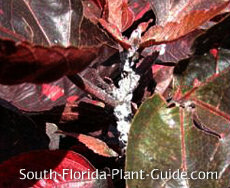 Plant problems aren't uncommon in South Florida. They can be the result of bugs and other critters (including people) or a myriad of other causes. ...and be willing to do something about any issues - before it's too late. This page covers an overview of common causes of plant symptoms and a few of their treatment options. Check out our easy reference Plant Symptoms page to help identify what's wrong with your plant and what to do about it. There is no such thing as a BAD PLANT. Bad things happen to plants. The best way to get an accurate diagnosis is to take cuttings of the affected plant, and bag them immediately in a sealed plastic bag. Then take them to your local nursery for advice and products for treatment. Causes of plant problems fall into just a few main categories: stress, insects and disease. They're all interrelated. And stress is the biggie. Stress is caused by an adverse condition, something the plant doesn't like. The condition can be from climate or it can be man-made. 9 times out of 10 it's the latter...cultivation practices are the leading cause of plant stress. 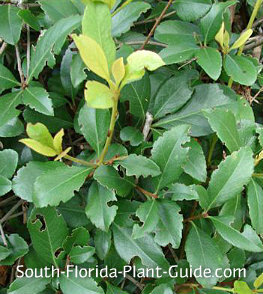 As a result of the stress, the plant can become weakened. When we become rundown, we're more susceptible to catching a cold - weakened plants invite pests and disease. Extreme winter cold snaps, sitting in wet soil, or a lack of adequate irrigation are just a few of the root causes of plant stress. Just like you'd advise your stressed-out best friend, you must change the situation causing the stress. This is vital in saving the plant. Stress can cause fungus - one of the most common plant problems. Plant fungus often shows up as brown spots on foliage, but additionally there may be root damage and new growth may start to die back. Fungal microorganisms can cause certain diseases as well. Treat with a fungicide as a spray or drench. 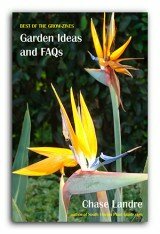 Ask at the nursery for recommendations on products and how best to apply them. Fungicide alone will not save your plant - you must identify and fix the root cause of the stress by creating the proper environment the plant needs. Plants can be stressed by nutritional deficiencies. Certain palms like foxtail palm require more frequent fertilization to stay green and healthy. 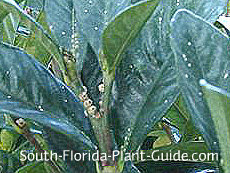 Others like cat palm - which grows in sun or shade - need to be fertilized more often when placed in sunnier areas. Sometimes over-fertilization is the problem. Too much nutrition can be just as bad as not enough. Chewing insects include caterpillar, cut worm, leaf miner, grasshopper, leaf hopper and leaf notcher weevil. Sucking insects are the majority of garden pests. They include aphids, thrips, mealybug, spider mites, white fly, and various types of scale. By the time you can see bugs on a plant, they've been there a while, doing their thing and settling in. Some insects are so microscopic it's hard to see them...but you'll see the effects of their damage. Keeping your plants well-fed and watered regularly is your best defense against insects. There's almost no point in trying to prevent insects with chemicals...but healthy plants are less likely to be attacked. Bugs don't choose a plant at random. In the same way predatory animals single out the weakest of the herd, insects zero in on weakness in plants. Plants that are stressed from weather or the wrong amount of water or fertilization actually send out certain plant pheromones. These signal to insects, which are drawn right to the weakened plant...and nearby healthier ones as well. Weather can play a role in heightened insect activity. Dry spells (often compounded by strict watering regulations) increase feeding in mites and they seek out plants for moisture. Neem oil and most other treatments are only effective if you spray it consistently - successive times at recommended intervals - to cover insect reproductive cycles. If you fail to follow through, the bugs will continue to give you problems. Spraying 4 to 6 times - once every 10 days - is good for most neem oil applications. Occasionally your nursery may recommend spraying 4 times, once every 7 days. The first spray may miss bugs underneath leaves. Successive sprays will reach these insects and any that have hatched since the first spray. Neem oil is the most effective natural pesticide currently available to the homeowner and acts as a fungicide, insecticide and miticide. However, it is mild and MUST be repeatedly sprayed to have an effect. A natural product of the neem tree, neem oil smothers bugs, interrupts their reproductive cycle, and may even sterilize any surviving ones. Other very effective products contain bug-zapping compounds such as permethrin, pyrethrin, acephate, malathion, bifenthrin and imidacloprid. The brand name of a product is much less important than the contents within. Add a product called spreader sticker to the mix when you spray a plant with an insecticide. Use 1 teaspoon per gallon. DO NOT mix with oil sprays, though. Spreader sticker helps the liquid "stick" to the leaves for maximum effectiveness. Hose down the affected plant, hitting undersides of leaves and branches, in between spraying intervals. This helps knock off some of the adult insects. "Home remedies" like dish soap rarely work in the long run. Common diseases like powdery mildew are plant problems caused by a fungal pathogen...totally treatable (if it's caught in time and the stress situation is remedied). Plant viruses, on the other hand, can be nearly impossible to cure. The good thing is most viruses are rare. One not uncommon virus, however, is witches broom. Viral pathogens are likely transferred to a plant - even a healthy one - by landscapers who don't thoroughly clean their equipment between jobs. Rabbits, rodents and deer are best deterred with preventative products from your nursery or a local farmers supply store. Pesky moles making tunnels under your soil are covered on the Plant Symptoms reference page. Check out this easy reference page on Plant Symptoms for a listing of typical plant symptoms, their likely cause(s), and ways to treat for each.